Plumping.Wash, Plumping.Rinse, & Body.Mass were originally designed & geared toward women, & because of their success, the Stimulate.Me line utilized similar ideas for men’s hair. 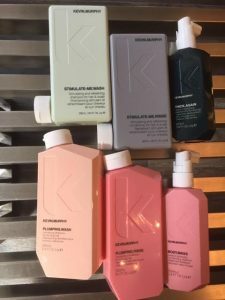 Crimson Hair Studio stylists agree, the best product for thinning hair are the Plumping & Stimulate.Me lines from Kevin.Murphy. 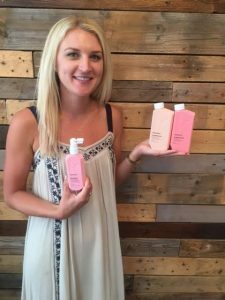 Laura: My favorite products for women with thinning hair are are the Plumping.Line from Kevin Murphy, which is a three step system that helps make individual hair strands thicker for an all over fuller look. Francesca: The Kevin Murphy Plumping.Line is the solution for woman struggling with thinning hair because the 3 part system, which using eyelash thickening technology, all work together as a team to not only creat fullness when styling daily, but long term encourages the growth of healthy hair. 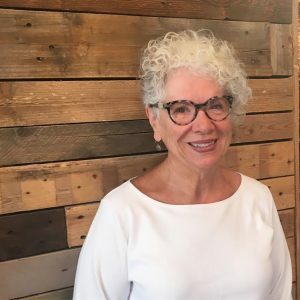 Jeanne: I advise communication & a product to repair the hair: It’s important to to speak to your stylist about your concerns/dislikes of your hair, whether it be a receding hairline, or if you’re experiencing thinning in the crown. There are different ways to cut the hair to disguise or take attention away from these areas before reaching for your clippers and taking it all off. 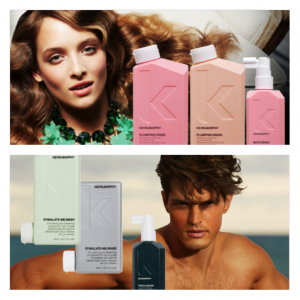 My favorite product for men right now is the Kevin.Murphy Stimulate.Me line. The Stimulate.Me Wash & Rinse have a nice fresh menthol scent and a cooling sensation on the scalp. Pair those with the Think.Again leave in treatment to rejuvenate the scalp and give an all over thicker appearance! Both product lines are discounted this month at Crimson Hair Studio; check out our promotions!